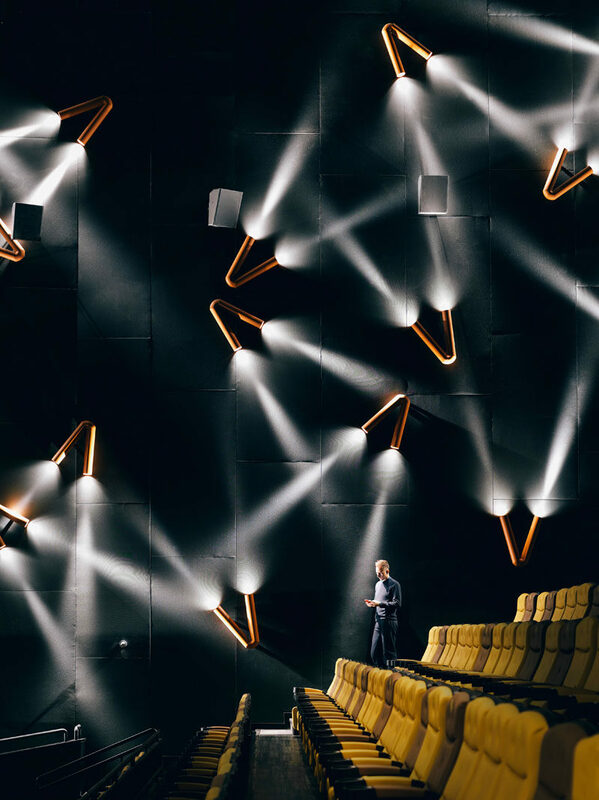 When ONE PLUS Partnership were designing the Shanghai Omnijoi International Cinema in China, they decided to pay homage to the movie industry. 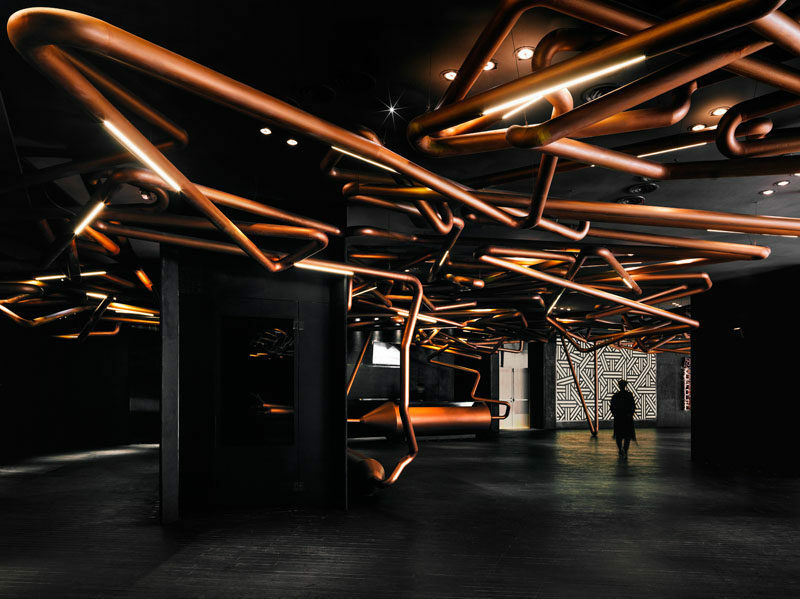 They did this by creating a copper track, similar to those used when filming a tracking shot, that runs throughout the lobby and even in some of the theaters. 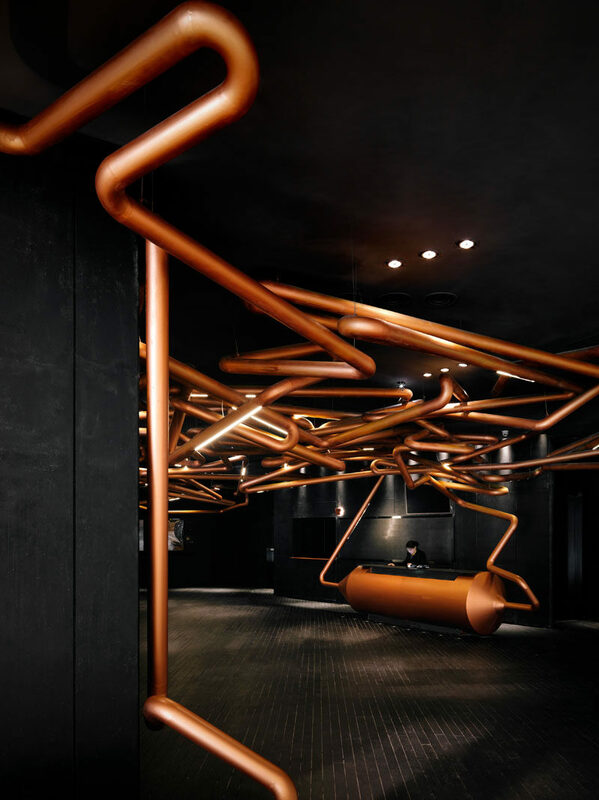 In some places, the copper colored metal tubes drop down to become seats for patrons to wait, and in others they become ticketing counters. Sections of the tubes also have straight light tubes to illuminate the mostly dark interior. 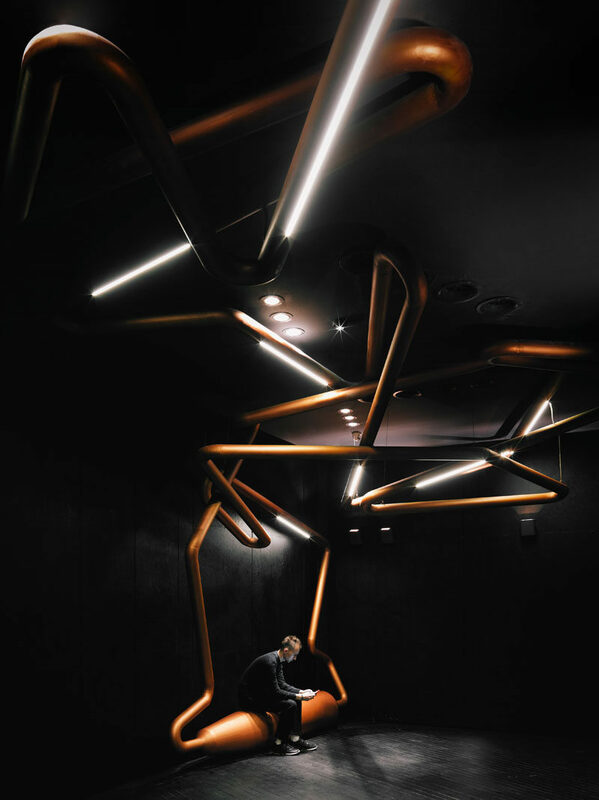 In the theaters (or auditorium), the metal pipe is bent into a V shape with lights at each end, create a spotlight effect on the walls.